SBI cuts interest rate on savings bank deposits. Will other banks follow? The rally in banking stocks since the start of calendar year 2017 (CY17) has brought cheer to qualified institutional buyers (QIBs), as shares of most banks have outperformed the markets and are trading at a premium to their respective qualified institutional placement (QIP) issue prices. 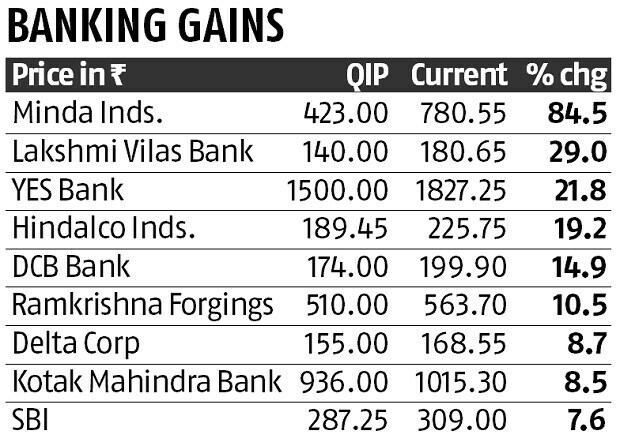 Thus far in the CY17, investors in banks like State Bank of India (SBI), YES Bank, Kotak Mahindra Bank, Lakshmi Vilas Bank and DCB Bank have rallied up to 21% over their respective QIP issue prices. The BSE Sensex, by comparison, has recorded an average gain of 9% during this period. Hindalco Industries, Minda Industries, Deepak Nitrite, Premier Explosives, Brigade Enterprises, Delta Corp, Ramkrishna Forgings, Sagar Cements and Veer Energy Infrastructure are the other stocks that are trading above their respective QIP issue prices, and have beaten the benchmark index. Of the 18 QIPs that raised Rs 34,349 crore in CY17, stocks of 16 are trading above their QIP issue price. While Federal Bank at Rs 115 is nearing its QIP issue price of Rs 116, United Bank of India – the top loser in this pack – is quoting 16% lower against QIP issue price of Rs 23.22 at Rs 19.50 levels. Qualified Institutional Placements (QIP) is a capital raising tool whereby a listed firm can issue equity shares, fully and partly convertible debentures, or other securities that are convertible to equity shares to institutional investors. Going ahead, though analysts remain positive on the road ahead for the banking sector, they suggest investors remain selective and invest only where there is earnings visibility coupled with low non-performing assets (NPAs). “The recent quarterly results for a number of BFSI players have surprised positively. Despite provisioning for NPAs, large private banks reported a fairly good set of numbers. For public sector banks (PSBs), an early resolution of bad debts / NPAs will be another key trigger. That said, the benefits of these measures will be visible only over the long run,” explains Kunj Bansal, ED & CIO at Centrum Wealth Management. Another key positive for the sector going ahead, according to analysts, is the move by the State Bank of India (SBI) to lower interest rates on savings bank deposits by 50 basis points effective July 31. The development, they feel, can trigger a similar move by the other large private and public sector banks going ahead, and ease the margin pressure some of these banks are facing. Also Read: SBI cuts interest rate on savings bank deposits. Will other banks follow? Analysts at Nomura, for instance, believe most banks were waiting for SBI to cut savings bank rates, and hence expect most large banks to follow. Most corporate banks have been facing significant pressure on margins and a cut in savings bank account rate cut will help offset this margin pressure, they feel. “Savings bank account deposits contribute 20-30% of total liabilities for PSU banks, 20-25% of total liabilities for ICICI Bank / Axis Bank / HDFC Bank and 15 - 20% for Kotak Mahindra Bank / IndusInd Bank / YES Bank. 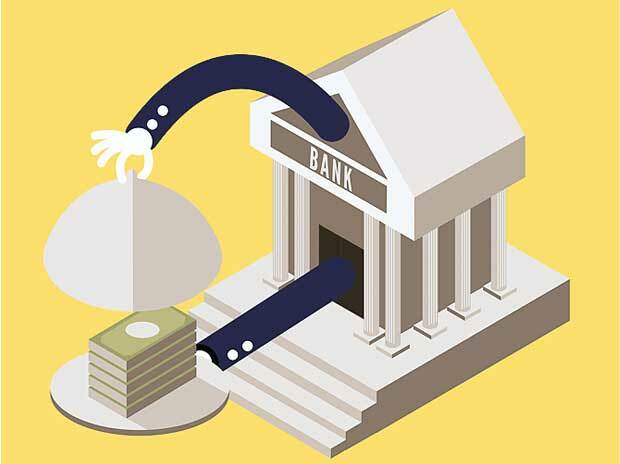 Thus, a 50 bps cut in savings bank rate will impact margins for PSU banks by 10 – 15 bps and around 10 bps for the larger private banks," write Adarsh Parasrampuria and Amit Nanavati of Nomura in a report.